ALBUM | It's hard to believe it's been 10 years since My Morning Jacket's breakthrough album Z took from cult favorites to arena-sized favorites, largely on the strength of some epic Bonnaroo festival appearances that showed the band is as capable of appealing to drugged-up hippies looking for a psychedelic jam-out as they are to prog- and classic-rock fans. 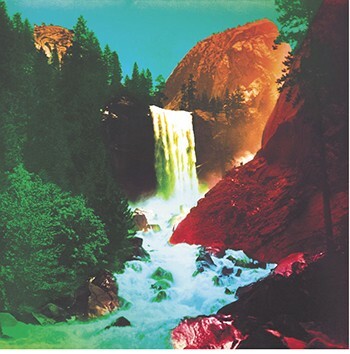 The band's new one, THE WATERFALL, touches on all of Jim James and Co.'s strengths, and is reportedly the first of two full-length sets of new MMJ tunes on the way after a four-year hiatus. DOCUMENTARY | For wrestling fans of a certain age, there is no greater heel in squared-circle history than The Iron Sheik, the Iranian grappler (real name: Khosrow Vaziri) who spent much of the '80s as the World Wrestling Federation's biggest villain, putting Hulk Hogan and other "good guys" in his patented "Camel Clutch" while mocking the rabid, often xenophobic audiences that made pro wrestling must-see TV during the Reagan years. 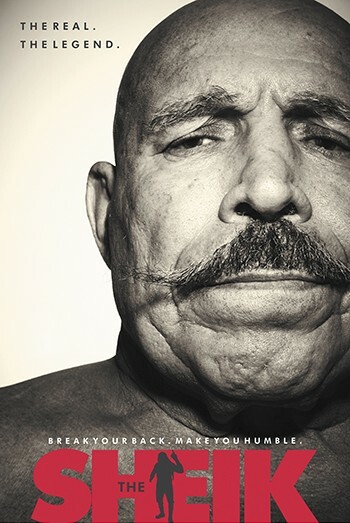 In 2014 documentary THE SHEIK, now streaming on Netflix, he reflects on his career in the ring, and his later success as a Twitter sensation (@the_ironsheik) and spoken-word nightclub act. BOOK | Directing cult-classic films like Pink Flamingos and Hairspray (the original, not the musical) earned John Waters several memorable nicknames, e.g. "The Pope of Trash" and "The Prince of Puke." Such vivid aliases might keep the casual observer from delving into Waters' writing, which in the past has included excellent memoirs and hilarious essays reflecting on the absurdities of mainstream culture. 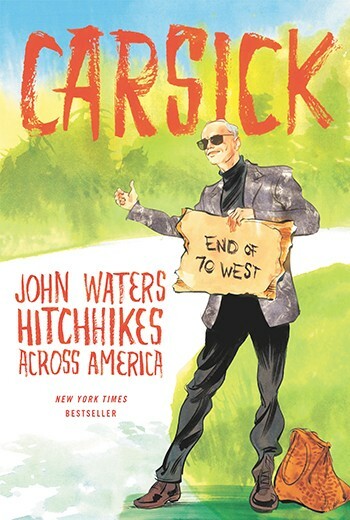 His latest book is CARSICK: JOHN WATERS HITCHHIKES ACROSS AMERICA, and it's a vivid and hysterical retelling of his 2012 adventures rolling from his Baltimore hometown to San Francisco using only his thumb, his wits and sign saying "I'm not psycho."